For some people, the films of the 1980’s were something of a disappointment. Compared to the previous decade, they were often seen as less substantial and more over the top. While this is certainly true, it should not take away the fact that there were some good films made in the decade. In some ways, the antidote they provided to the 1970’s realism was just the shot in the arm that film fans needed. Here are the ten of the most amazing films made in the decade that also gave us Miami Vice and The Smiths. One of the real cinematic trends in the 1980’s was that of the big blockbuster and lucrative film franchises. The daddy of all this was (and still is!) Star Wars. 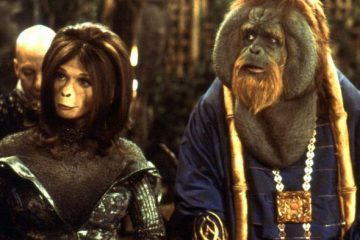 After the original film made such a splash, the sequel was released in 1980 to great fanfare. Luckily it turned out to be just about the best sequel ever made! Although not a great critical hit at the time, it is now widely regarded as a real triumph. It took all the characters and stories from the first film and made them better. 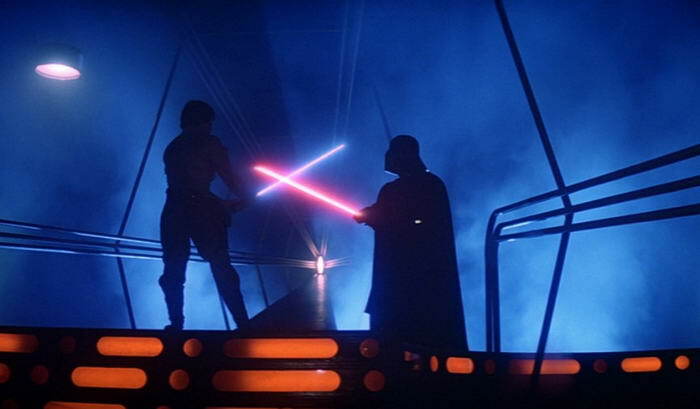 Offering a darker, more complex take on the battle between the Empire and Rebel Alliance. Based on the life of legendary boxer Jake La Motta, this was also released in 1980. 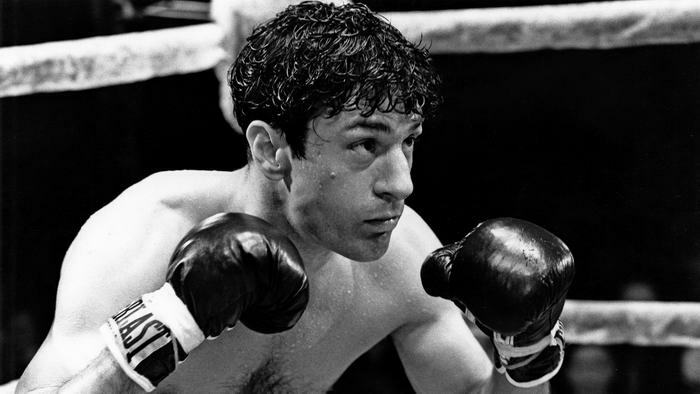 Much praise is rightfully reserved for Robert De Niro’s performance in the title role. Menacing and brutal, he portrayed the troubled La Motta to great effect. This blistering turn saw him earn his Second Oscar for Best Actor at that year’s awards. It was also notable for the directorial work of Martin Scorsese who was another face who enjoyed immense success in both the 1970’s and 1980’s. When you combine the screenplay work of Paul Schrader, it is easy to see why it was so popular. Over the years, Stephen King’s books have provided rich pickings for film makers. From Carrie to the Running Man, his varied imagination has made him very popular with film-makers. 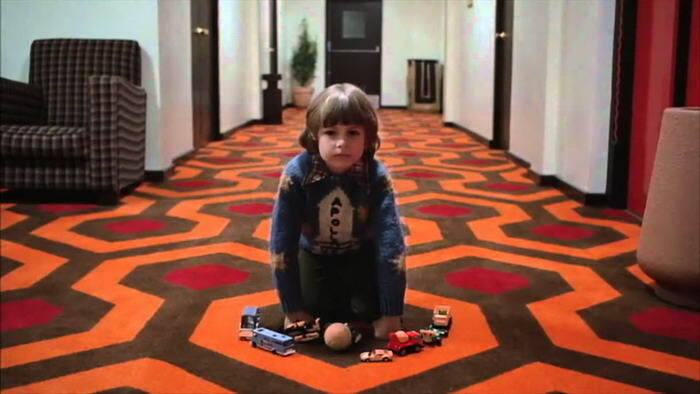 One of his most famous adaptations was this Stanley Kubrick version of his book, The Shining. It must be noted though that the film version is very different from the book! It tells the tale of Jack Nicholson’s character who is a writer. Taking on the job of being caretaker for a remote hotel over winter with his family, he slowly descends into madness along the way. Becoming more crazy by the day, it all builds to a terrifying climax by the end. Now widely regarded as a horror masterpiece, it started off the 1980’s in style. Come 1981, George Lucas had decided to help his good friend Steven Spielberg out. 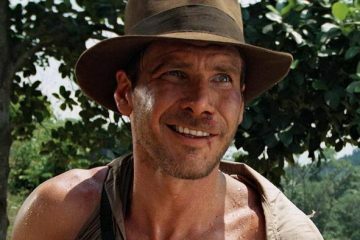 Originally an attempt by Lucas to hark back to the days of 1930’s adventure movies, his Indiana Jones creation was gold dust. Spielberg shot the film perfectly and really brought the exotic locations it was set in to life. Of course, much praise must go to Harrison Ford for his portrayal of the lead character. It was a turn full of the charm and humour that had made his turn as Han Solo so loved. 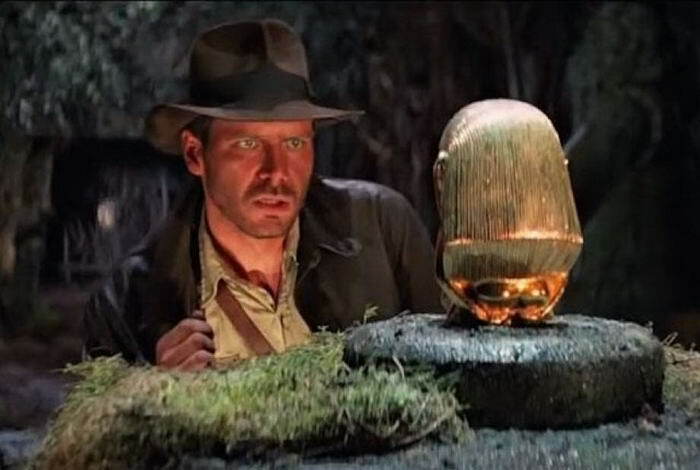 The film was a rollicking good adventure which saw Jones trying to track down the Ark of the Covenant to stop the Nazi’s claiming it. Just watch out for the face melting ending when the Ark is opened! Come 1982, the decade in film was in full swing. 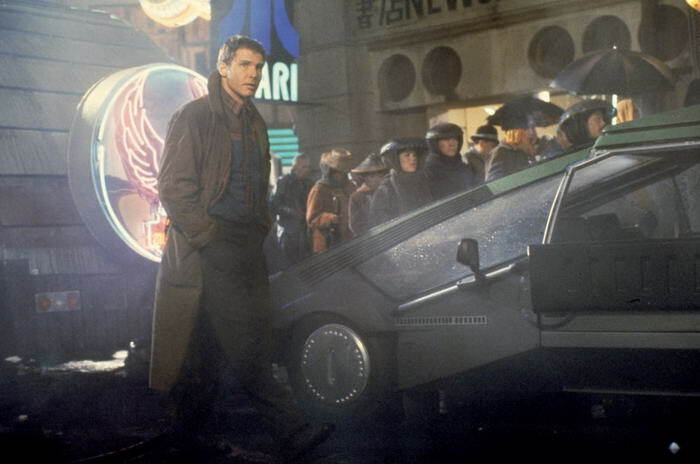 Blade Runner was released in that year and was a real genre defining hit. Essentially a sci-fi detective movie, it starred Harrison Ford in the lead role as a human detective, trying to track down rogue robots who have gone crazy. It also starred another 1980’s icon in Rutger Hauer as the film’s main bad guy. 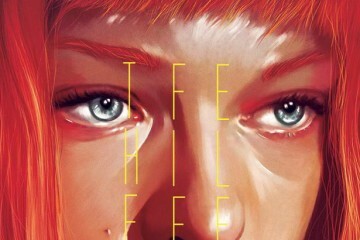 Fans loved the ethereal music score and the beautiful visuals that took you smack bang into the future. For Ford it allowed him to show a more downbeat, less upbeat side which at the time did not sit well with all his fans. It is now widely seen as a real masterpiece though. Easily one of the most overtly 80’s films on our list is this one. Tom Cruise was another actor who had a huge decade, and this is one of the best loved movies he made then. 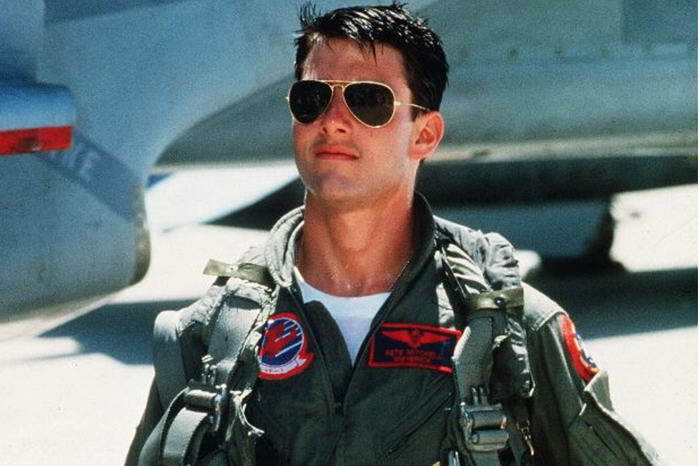 It is based on Cruise being an ace fighter pilot for the USAF who is selected for the elite Top Gun academy for further training. What follows is a hugely enjoyable tale of dogfights and egos all wrapped up in Cruise’ undeniable charm. It even had the obligatory 1980’s romance with instructor Kelly McGillis getting it on with Cruise’s character. Of course, it also spawned the huge pop hit ‘Take My Breath Away’. Yuppies were one of the big social news stories in the 1980’s and this is the film that cemented that reputation. 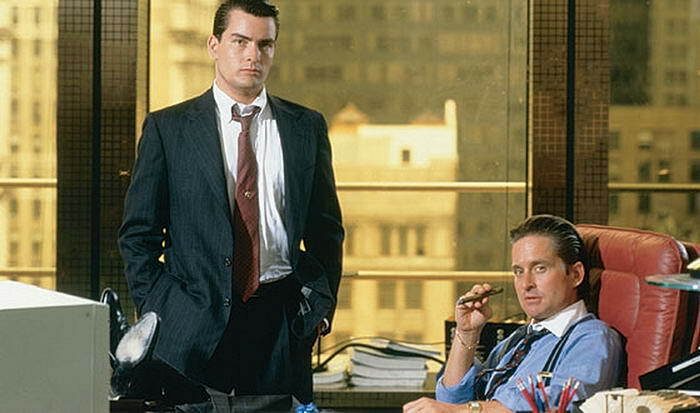 It saw Michael Douglas as money obsessed banker Gordon Gekko and Charlie Sheen as a young banker trying to emulate him. Gekko became a key character of the 1980’s with his ‘Greed is good’ philosophy and striking red braces. Although it all ends in jailtime, there was still something so glamourous about the story that it wowed audiences. Maybe it was the fine acting and writing – but it could just have been the fact that money and power is always a real head turner. Who can forget the haunting strapline to this film of ‘The first casualty of war is innocence’? 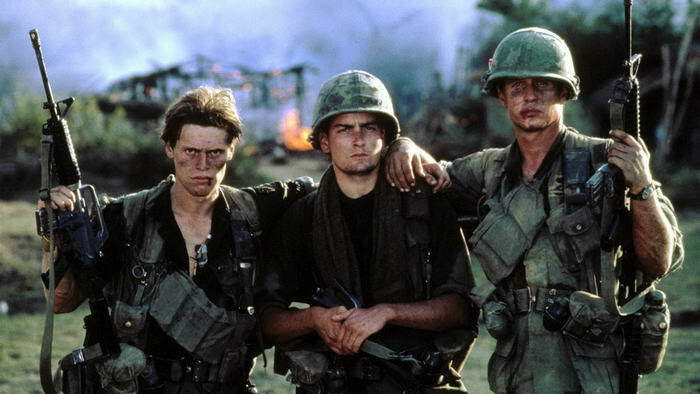 Based on director Oliver Stone’s first-hand experience of the war in Vietnam, it had all the grit and realism you would need. Charlie Sheen brought just the right amount of innocence to the lead role where Tom Berenger made a great alternative bad guy as a murderous Sergeant. This film was very controversial on its release thanks to the brutal violence and shocking scenes shown. In a way, this was Stone’s point – to show how terrible war is. The main story follows Sheen’s infantry soldier from new recruit to world weary vet. Arguably the most scene where Willem Defoe’s character is shot dead while attempting to reach a rescue helicopter is still nerve-tingling. The 1980’s was a great year for action films. You had all the heavyweights like Stallone and Van Damme at their peak in this decade. It also was the decade that made Arnold Schwarzenegger a film star, where he was before a mere bodybuilder. Directed by James Cameron, it also set him up as one of the names to watch in film. If you have never seen this film (where have you been? 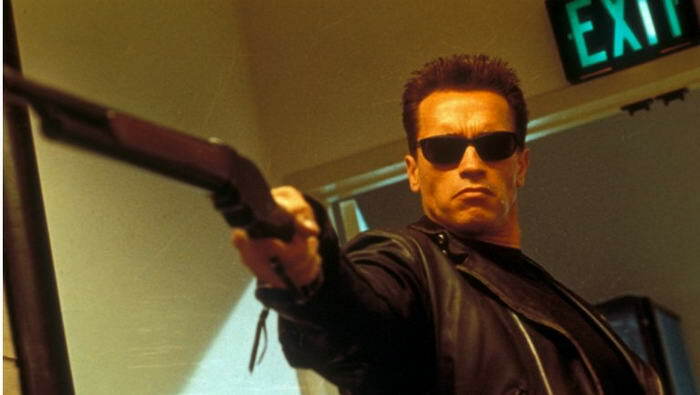 ), it centres on Arnie’s character (The Terminator of the title) trying to find Sarah Connor. He has been sent back in time to kill her as she will, in the future, give birth to the man who will save humans from cyborgs. The film is pretty violent and noisy but amazing all the same. It keeps you gripped all the way through and paved the way for an even better sequel. The 1980’s were a fabulous time for big movie stars and Al Pacino was one that made his mark to stand alongside Cruise, De Niro et al. He had already come to fame with films such as Serpico and The Godfather, but this was the one to really propel him into the stratosphere. Directed by 80’s royalty Brian De Palma, it was a hugely entertaining and stylised gangster epic. 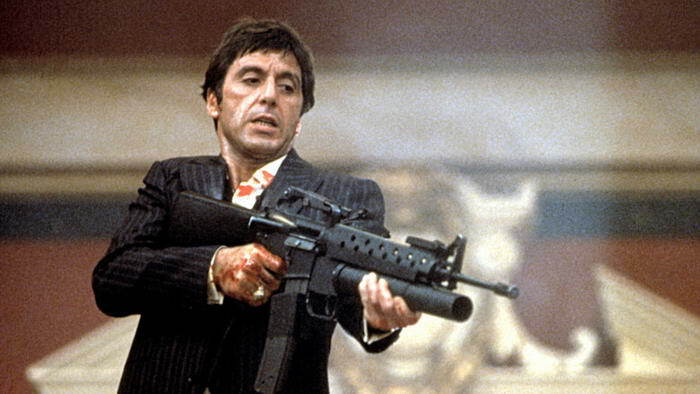 Pacino’s performance was a masterclass of animal aggression and he lit the screen up with his portrayal of drugs kingpin, Tony Montana. It follows him from humble Cuban immigrant to drugs lord and all the violence that unfurls along the way. Easily the best film made in the decade, it is a real one to watch. As we can see, the 80’s was a great time to be a film fan. From action to sci-fi and beyond, there was a varied choice for all to enjoy. As time moved into the 1990’s, the splendour and sheer energy of the 80’s got lost somewhat. That makes the films shown here even more special.